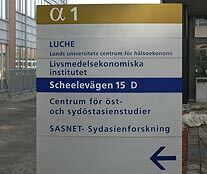 SASNET’s Board was dissolved on 30 September 2010, currently SASNET is working directly under the supervision of the Vice Chancellor, Lund University. Dept. of History, Uppsala University. – Pernille Gooch, PhD, Division of Human Ecology, Dept. of European Ethnology. – Catarina Kinnvall, Associate Professor, Dept. of Political Science. – Jan Magnusson, Assistant Professor, School of Social Work (2003–2005 working at the Centre for East and South-East Asian Studies, ACE, as Director of Studies for the Masters Programme in Asian Studies). – Staffan Lindberg, Professor, Dept. of Sociology. Director/Coordinator for SASNET till 30 June 2007. Curriculum Vitae. – Kristina Myrvold, Assistant Professor, Dept. of History and Anthropology of Religion, Centre for Theology and Religious Studies. – Prosun Bhattacharya, Associate Professor, Dept. of Land and Water Resources Engineering, Royal Institute of Technology (KTH), Stockholm. – Cecilia Stålsby Lundborg, Professor, Division of Global Health (IHCAR), Karolinska Institutet Medical University, Stockholm. – Ferdinando Sardella, PhD candidate, Dept. of Literature, History of Ideas, and Religion, Göteborg University. – Per Hilding, PhD, Dept. of Economic History, Stockholm University. – Camilla Orjuela, PhD, Division of Peace and Development Research (PADRIGU), School of Global Studies, Göteborg University. – Per Drougge, PhD candidate, Dept. of Social Anthropology, Stockholm University. – Neil Webster, senior researcher, Danish Institute for International Studies (DIIS), Copenhagen, Denmark. – Arild Engelsen Ruud, PhD, Dept. of Culture Studies and Oriental Languages (IKOS), University of Oslo, Norway. – Bengt Kristiansson, former General Secretary, Swedish Committee for Afghanistan. – Eva Hägerstrand, Coordinator, Swallows India-Bangladesh Section, Lund. All members of the board, except the representatives for students, were originally appointed by the Vice Chancellor, Lund University, for a period up till 31 December 2009. The students representatives are appointed by Lund university student unions association, for a period of one year at a time. On November 26, 2009, the Vice Chancellor, Lund University, decided to prolong the period for the current board to September 30, 2010. • Lars Eklund, Deputy Director/Webmaster. working full-time from 1 July – 31 December 2011. Visiting address: Ideon Research Village, House Alfa 1 (first floor, room no. 2041 and 2042), in the premises of the Centre for East and South East Asian Studies at Lund University (ACE). The office is manned: Weekdays 917. Welcome for a visit, but please call in advance. E-mail communication is always the best way to reach us. 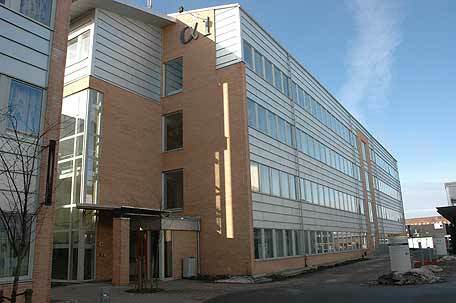 Administration: SASNET belongs to the so-called Special Activities of Lund University (Särskilda verksamheter). The Centre for East and South East Asian Studies provides SASNET with some administrative assistance, whereas the personnel administration is managed by the International Office – part of Lund University’s central administration. Reading room: A small library, with South Asia related magazines (including the leading peer-reviewed journals) and doctoral theses from the Nordic universities, is kept at the SASNET root node office at Lund. Visitors are welcome.